There are many Vyvanse drug interactions, and their effects are various. Science shows that over 500 substances in today’s market interact with Lisdexamfetamine. 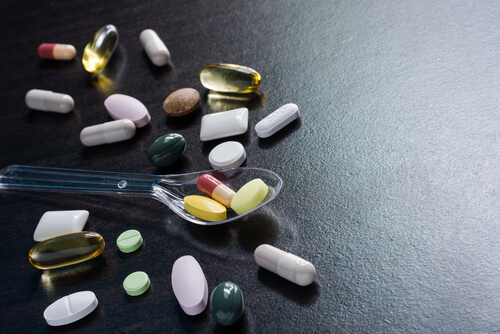 In some instances, this drug interactions can lead to something as simple as a headache, but it can also lead to death. How Does It Interact With Alcohol? How Does It Interact Interact With Weed? How Does It Interact With Caffeine? How Does It Interact With Other Prescription Drugs? Mixing lisdexamfetamine and alcohol together may increase health risks. If someone is drinking on Vyvanse, risk is imminent. A stimulant lisdexamfetamine is taken to experience a focused or euphoric effect, especially if there’s drug abuse. In contrast, alcohol is a depressant. So, mixing alcohol with an individual’s diet will counter the effects of the Vyvanse drug. In turn, lisdexamfetamine will nullify the effects of the drink. In other cases—depending on what exactly is consumed—the stimulant will enhance the effects of alcohol, though an individual may not realize it at first. 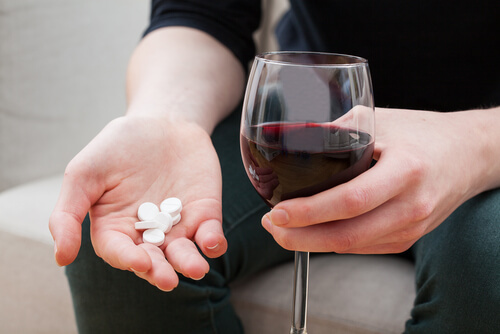 When alcohol and lisdexamfetamine are taken together, an individual often craves more of both because the desired effect—either feeling happier or becoming numb—isn’t reached. They’re likely to consume more of these substances than usual, and a Vyvanse headache is imminent. Also, there’s a risk of alcohol poisoning. Important to note is that even with very little alcohol and Vyvanse took, there is still risk. In the presence of stimulants, the body breaks down alcoholic substances different than usual. This can quickly boost blood alcohol levels even if the person drank relatively little. Of course, drinking forms a part of many individuals’ lifestyles. To avoid these challenges clarify with a physician how long Vyvanse stays in your system. Only opt for drinking on lisdexamfetamine if you know it’s safe to do so. With the market for marijuana-based products opening up, questions arise about the interactions between Vyvanse and weed. There may be benefits to marijuana, but the effects of using these substances together are difficult to predict. Because of weed containing many different chemicals, there’s no saying how exactly it will affect someone. It can trigger enzymes in the body that will process medication—such as Lisdexamfetamine—in a different way. Also, when discussing how to get a Vyvanse prescription with a physician, one should mention other drug use, including weed. Doctors need this to make the right decisions if side effects occur. Another everyday substance to reconsider drinking when using the drug is coffee. Drinking Vyvanse and coffee means the body receives extremely high doses of stimulants. Both Lisdexamfetamine and coffee are CNS stimulants. Vyvanse and caffeine being in the body simultaneously can lead to extreme irritability, but also more severe conditions such as insomnia, nausea, and tremors. This can quickly impair day to day life. While it may not be necessary to avoid taking coffee and lisdexamfetamine together totally, it’s best to limit caffeine intake. Lastly, there are risks associated with other prescription drugs such as using Vyvanse and Xanax or Zoloft. 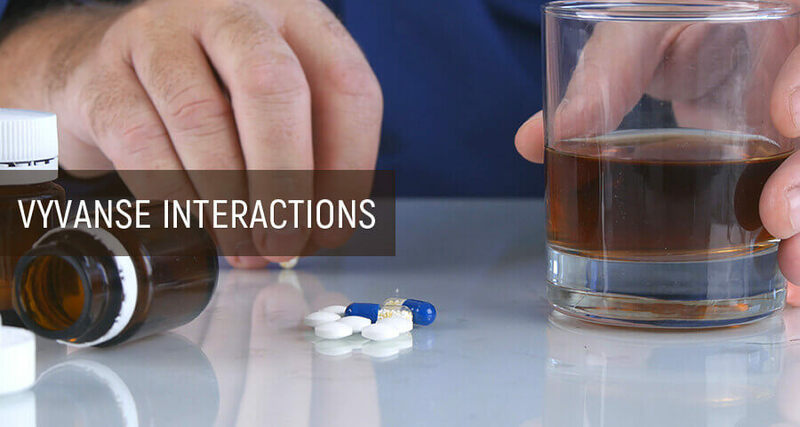 These drugs are common solutions for behavioral problems, but in some individuals, the outcome varies thanks to Lisdexamfetamine interaction. A popular combination, prescribed by physicians, is to use SSRI (Selective Serotonin Reuptake Inhibitors) antidepressants with lisdexamfetamine. When using Prozac and Vyvanse together or even Vyvanse and Zoloft the goal is to manage certain behaviors such as teenagers acting out after starting on Lisdexamfetamine. Using Vyvanse and these drugs sounds like an excellent plan, but there’s never a guarantee of how the interactions will affect the person. The behavior may not change at all, or it may get worse. The same can be said for using a mood stabilizer such as Lexapro and Vyvanse together. In some cases, these drugs counter each other’s effects. When it comes to mixing Vyvanse and Ibuprofen, the concern is once again the heart. Both can cause blood pressure or heart rate to increase. Another common combination is lisdexamfetamine and Gabapentin, the popular anticonvulsant drug. The side effects should be managed as some users experience stomach problems. However, it’s a welcome solution for many. Whether it’s Xanax and Vyvanse or any other combination, mixing prescription drugs should always be done with careful monitoring of side effects and following healthcare professionals’ advice. For anyone using lisdexamfetamine, it’s, therefore, vital to monitor Vyvanse dosages and what other substances they’re combined with to prevent accidental harm. If someone’s habits cause problems and a Vyvanse substitute isn’t an option, it may even be time for a lifestyle change. Mixing some drugs with lisdexamfetamine may increase the chance of developing an addiction. In this case, addiction treatment may become longer and more complex. It’s clear that many individuals—some unknowingly—put themselves at risk by using lisdexamfetamine with other substances known for interaction with this drug, such as using Vyvanse and Lexapro. Habits may seem innocent but can have adverse effects, especially without a doctor’s consent. Something as simple as using lisdexamfetamine and coffee or weed shouldn’t be the reason someone’s life is affected. Addictions to any of the substances mentioned above can prompt someone to mix the wrong substances. Instead, contact a rehab center, deal with the addiction, and ensure long term health.